[FWD] Can’t think of a new business model? Two stories from a research paper: Content Without Context is Meaningless. 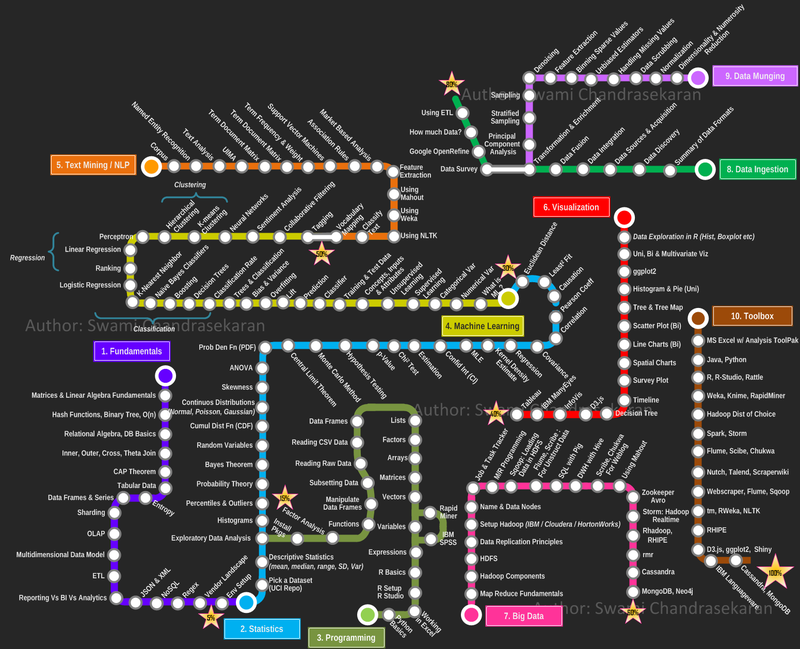 Becoming a Data Scientist – Curriculum via Metromap, by Swami Chandrasekaran. Data Science, Machine Learning, Big Data Analytics, Cognitive Computing … One thing is for sure; you cannot become a data scientist overnight. … But how do you go about becoming one? Where to start? When do you start seeing light at the end of the tunnel? What is the learning roadmap? What tools and techniques do I need to know? How will you know when you have achieved your goal? Peer review is at the heart of the scientific method. While it’s by no means a perfect system, it is still the best system of scientific quality control that we have. Many graduate programs don’t explicitly teach courses on how to review papers. Instead, a young scientist may learn how to review a paper under the guidance of his or her mentor, How to become good at peer review: A guide for young scientists is a post to put together a set of guidelines for young scientists.